Nigerian Amaju Pinnick has been appointed first vice-president of the Confederation of African Football (CAF) to replace Kwesi Nyantakyi after the Ghanaian resigned from all of his roles in the sport following corruption allegations. 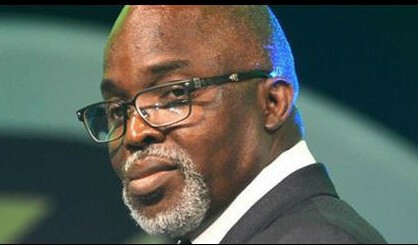 Pinnick, the head of the embattled Nigerian Football Federation (NFF), has been chosen to succeed Nyantakyi and his appointment will be ratified by the CAF Executive Committee at its meeting in September. It remains possible that Pinnick, match commissioner for five games at the ongoing FIFA World Cup in Russia and a CAF Executive Committee member, could also assume Nyantakyi's role on FIFA's ruling Council. Former Ghana Football Association President Nyantakyi stood down from the FIFA Council and quit as CAF first vice-president after he was banned for 90 days by FIFA's Ethics Committee. His suspension came after he was caught on camera appearing to accept a bribe. Undercover footage shot by investigative journalist Anas Aremeyaw Anas shows Nyantakyi, considered among the most powerful football officials in Africa, allegedly taking a cash gift of $65,000 (£48,500/€55,000) from a supposed businessman seeking to sponsor the Ghanaian football league. The video also apparently depicts Nyantakyi, who has apologised but denies wrongdoing, demanding other kickbacks which would be passed on to top Government officials, including the President. Pinnick's appointment comes amid the ongoing crisis within the NFF. The Nigerian Supreme Court recently ruled that he vacate his seat as NFF President following a power-struggle within the federation. The Court ruling effectively reinstated Chris Giwa as President but FIFA refuse to recognise him as legitimate, while the CAF banned him for five years back in 2016. Reports claim the Government still view Pinnick as the true NFF President and the Court's decision could prompt FIFA to ban Nigeria. "Following the resignation of the first vice-president Mr Kwesi Nyantakyi and the prevailing situation in the Football Federation of Nigeria," CAF secretary general Amr Fahmy wrote in a letter confirming Pinnick's appointment. "The CAF President, after consulting the members of the Emergency Committee, appointed Amaju Melvin Pinnick as first vice-president. "This decision is immediately applicable, in accordance with article 27 para. 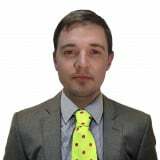 2 of the statutes which will be ratified by the Executive Committee in its session scheduled on the 27 and 28 of September 2018."